I first met Michael Franti at the Langerado Music Festival. I can’t recall which year — the man played each year the festival was at Markham Park, from 2005 to 2007 — but it had to be either 2005 or 2006, because Yell Fire!, his masterpiece that hit store shelves in July 2006, had not yet come out. A mutual friend who had known the man since his early ’90s days in his former band,the Disposable Heroes of Hiphoprisy, introduced us just before Franti hit the stage with his current band, Spearhead. And despite the fact that he had become a fairly huge name on the festival circuit and was due onstage in mere seconds, he greeted me with a genuine smile and a warm handshake. That stuck with me, simply because it’s just not the sort of thing you expect from a man with a modicum of fame in the all-important moment just before he hits the stage. I told him I liked his music and to have a good show, he thanked me with the same off-putting warmth with which he’d greeted me, and then he went onstage, played the title song off the forthcoming Yell Fire!, and brought the house down. The album came out awhile later, either a few months or a little more than a year. (Like I said, I can’t remember at which Langerado I met him. Those festivals are a bit hazy.) It practically became my theme music for the remainder of the Bush administration. From the call to arms of the title song, an incendiary anti-war, anti-corporate indictment — how many other artists have the cojones to yell “the F-15 is a homicide bomber” — to the gorgeous ballad “Sweet Little Lies,” in which the singer asks, “Tell me that the hurtin’ ain’t gonna hurt no more/Tell me somebody stopped the war,” Yell Fire! was a perfect record for its time and place. And here we are, a year into a new administration, and the corporate greed that Franti has railed against for so long has imploded and yet been built back up. The wars have gone on, with little news on the front but that of bullets and body counts. But despite the idealism of his songs, Franti, who played at three parties during President Obama’s inaugural celebration, recognizes the reality of Washington. Franti and Spearhead will be in South Florida this Thursday to open for John Mayer, which seems a bit incongruous. 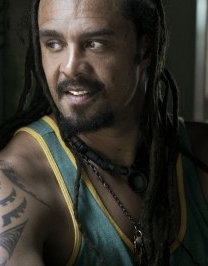 Franti’s highly political work encourages direct action and revolution; the sentiments of Yell Fire! continued on 2008’s All Rebel Rockers and will likely resurface on the forthcoming The Sound of Sunshine. But on the one track in which Mayer famously waxes political, “Waiting for the World to Change,” the singer seems to suggest that our entire generation is better off just throwing its hands up and tuning in to American Idol. Of course, even within a Franti concert, the diversity of music can be jarring, from reggae to rock to … Sesame Street. The man did a medley of Sesame Street songs at one of his Langerado appearances, and the moment proved memorable, with the whole crowd singing along to the show’s theme song and a few other tunes. But the origin of the appearance of Muppet rock in Franti’s concerts makes for an even better story. Happily, Franti’s efforts to reach out and find common bonds in all humanity, whether black or white, Palestinian or Israeli, Crips or Bloods, or what have you, often produce better results. His 2005 documentary film, I Know I’m Not Alone, in which Franti took a camera crew and wandered around war-torn areas of Iraq and Palestine, playing music for various gun-toting groups and innocent bystanders, has been lauded for its poignancy and ballsiness. And of course, these days, Franti is focusing a great deal on Haiti. Much of Franti’s career has been based upon the idealistic, hopeful assumption that art can drive action. And so even a concert in South Florida can spur people to do something — about Haiti, about the Middle East, about the inequities in their own neighborhoods. But along with such notions, a rock concert is, first and foremost, a celebration. If we determine to make the world a better place tomorrow, the gods will forgive us a bacchanalia tonight. Send cookies — “Me want cookie!” — to Dan Sweeney at dfsweeney@citylinkmagazine.com. For more of Sweeney’s stuff, visit Huffingtonpost.com. This story was originally published Feb. 2, 2010.